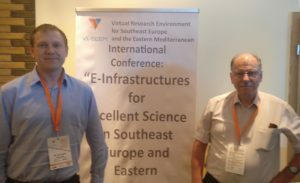 On May 15-16, 2018 the International Conference “e-Infrastructures for Excellent Science in Southeast Europe and Eastern Mediterranean” took place in Sofia, Bulgaria. It was organized by the Institute of Information and Communication Technologies of the Bulgarian Academy of Sciences in cooperation with VMware company, in the framework of the H2020 Vi-SEEM project. 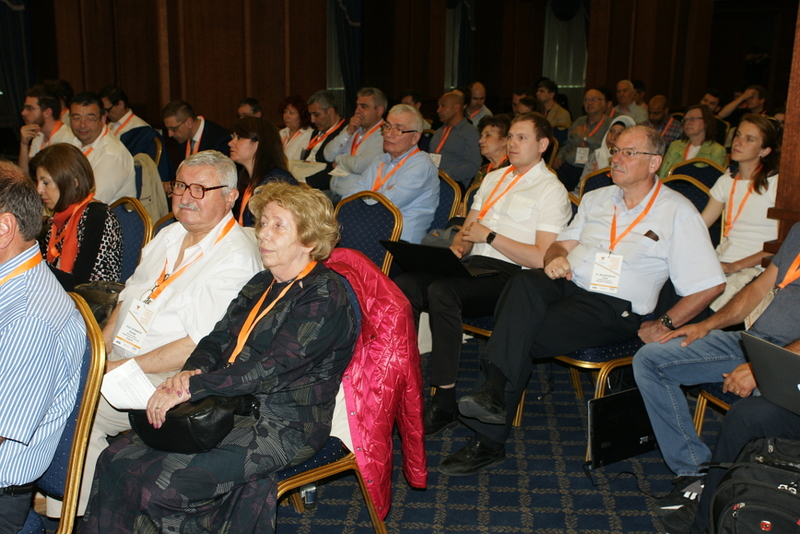 The conference brought together e-Infrastructure providers, scientists and researchers, and the policy makers from the region (Albania, Armenia, Bosnia and Herzegovina, Bulgaria, Cyprus, Egypt, FYR of Macedonia, Georgia, Greece, Hungary, Israel, Jordan, Moldova, Montenegro, Romania, Serbia) and beyond. In the framework of the Services section Dr. Peter Bogatencov, Executive Vice-Director of RENAM and Alexandr Golubev, Leading Specialist at RENAM, made the presentation entitled “DICOM Network: DICOM data processing optimization in medical information systems”. The information system “DICOM Network” was developed for medical and diagnostic institutions for collection, processing and visualization of medical images. The system covers all the workflow of processing and documentation of medical investigations, starting with acquisition of images from medical equipment and finishing with achieving investigation in the patient’s medical record. “DICOM Network” offers necessary functionality for qualitative medical management and secured investigation access in on-line mode. This helps doctors and specialists to do, save and access current medical image investigations and help institutions to reduce investigation costs, enhancing quality of service. The presentation gave short description and advantages of DICOM Network, and its integration with the existing Hospital Information Systems.